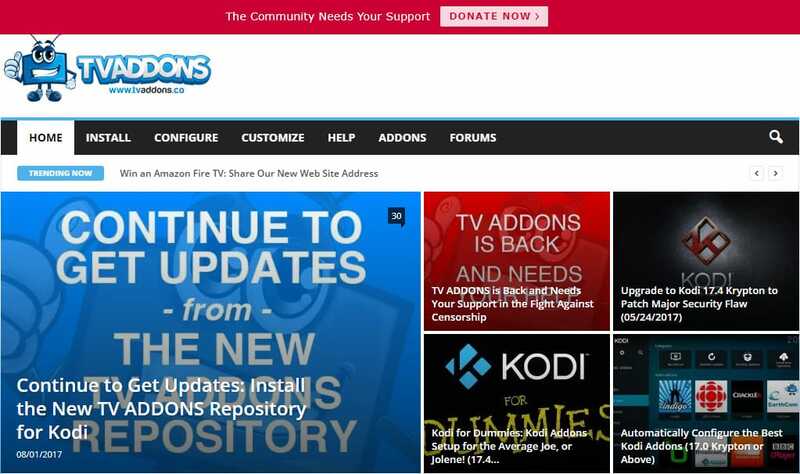 The shutdown of TVAddons, which operated the world’s most popular Kodi repository for third-party add-ons with over 40 million unique active users, initiated a huge shift in the Kodi community. Many add-ons and repositories closed shop. Others rose to take their place. In just two months time since TVAddons first went offline, Kodi users have had to overhaul how they stream content. Now TVAddons is back, this time with an eye toward legal, licensed content. But due to the ongoing court battle between the site’s founder and a who’s who of telecom giants in Canada, TVAddons had to start from scratch. Stuck in the appeals process, all of TVAddon’s original web domains and social media accounts were seized by a law firm. That means it must claw its way back up the search rankings and try to migrate followers over to new Facebook and Twitter accounts. Although Adam Lackman’s chances look promising in court, he’s already racked up more than $100,000 in legal expenses, and that figure is only expected to grow. The team is asking for donations to support its case, which could set a far-reaching precedent for online streaming in Canada and beyond. At the heart of the original debate in court is whether or not it is illegal to provide access to services that link to pirated, copyrighted material. TVAddons says it never hosted or linked directly to any such material, but the Fusion repository did host add-ons that contained such links. Despite the two degrees of separation between TVAddons and pirated material–and the fact that less than one percent of add-ons in the repository were considered “infringing”–a judge issued an invasive Anton Piller order that resulted in the seizure of Lackman’s physical and digital property, including domain names and social media accounts. Another judge ruled the Anton Piller order unlawful, but that ruling was appealed. Until that appeal goes to court, the legality of repositories like Fusion remains in limbo, and the TVAddons domains and accounts are still being held by a third party on behalf of the court. The appeal is expected to begin in the next eight to 14 months. TVAddons says until the appeal is heard, it will go “above and beyond our legal requirements” to ensure that content licenses can be easily verified for all of the add-ons in its repository. Many in the Kodi community are skeptical about whether a repository that only contains legal addons will even be attractive to the vast majority of users. These concerns are compounded by rival repositories and installers like Ares Wizard, which still contain “infringing” add-ons and are attempting to capitalize on Fusion’s and Indigo’s downfall. In spite of this, TVAddons seems confident that it will reclaim its throne. Comparitech asked if he thinks Ares will also face legal troubles. Another worry that arose alongside TVAddons’ resurrection is whether or not the site and its services are safe. Users on reddit and social media expressed concern over whether the new TVAddons could be some sort of honeypot. Some speculate that users could fall victim to data theft by the court-appointed Canadian law firm that holds the original domain. TVAddons suspects the allegation that it’s working with its opponents in court to create some sort of honeypot is being perpetuated by competitors. TVAddons is asking members of its community to donate money to help pay for Lackman’s legal fees. 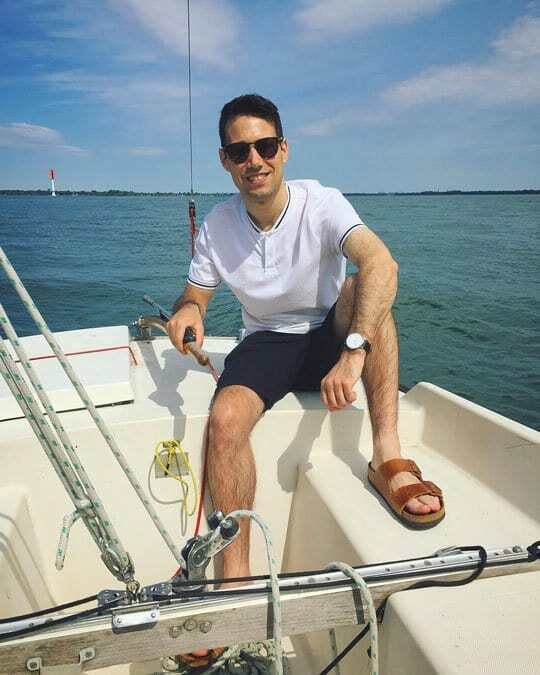 The request for funds came around the same time that a photo of Lackman on a boat made the rounds on several blogs. Given optics are everything, some questioned whether Lackman really needs the money and whether the legal fight is a worthwhile endeavor. The site at the previous domain also featured donation buttons in the sidebar. According to court documents, TVAddons was Lackman’s primary source of income, and cutting him off from it was a underhanded way of preventing him from mounting a sufficient defense. Reports state interrogators presented Lackman with a list of 30 names of people who might be operating services or sites similar to TVAddons. He was asked to provide information on those people. Many in the Kodi community have expressed concern that Lackman might have “named names” as a result. But our contact at TVAddons says this is simply not true. The fate of Lackman and TVAddons could set a precedent for unofficial streaming services both on and off Kodi for years to come. But TVAddons was skeptical that the court case has had much of an effect on streaming in general. LMAO wants to give free access to links that steal content from companies of TV and movies. But, now wants money because he got busted???? Call it what it is and deal with it..
What happened to TV is free man (unless you get busted right?) I guess I shouldn’t be paid by the movie companies for my printing services or the catering companies for feeding all the people working for free to make your movie to watch… I guess they pay for everything from the money tree in the backyard.